Ok before we move on any further… I won’t be testing if the War Tribe Gi Kevlar Reinforced can withstand a gunshot. But not a bad idea, Maybe in a future review. 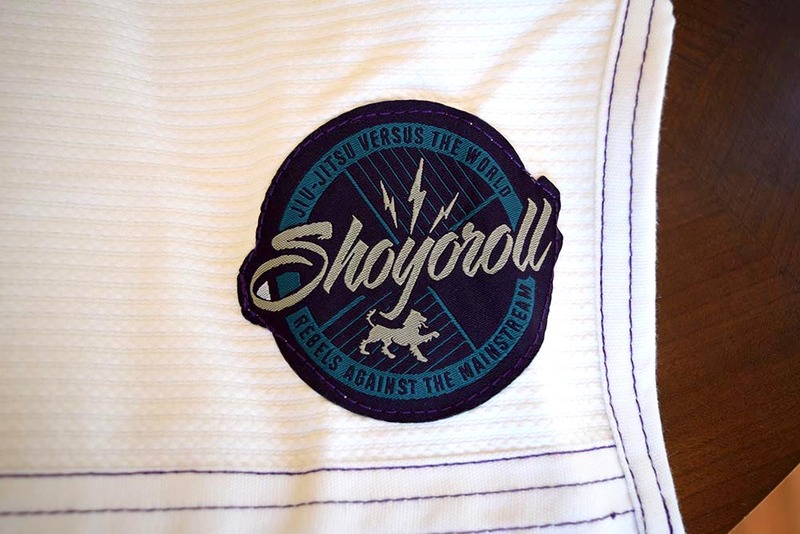 When I first heard about this Jiu Jitsu gi I was certain that a kimono maker had figured out a new cheesy gimmick. I was skeptical. Purchasing the gi went easy enough. 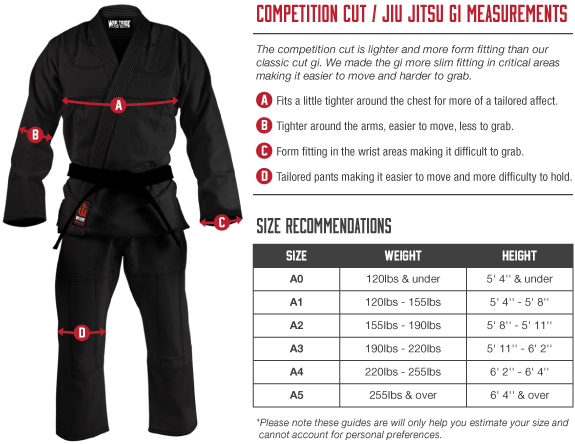 Some gi makers have a crappy distribution and a cheap website. That wasn’t the case here. They even stock their product on Amazon. So points there. The War Tribe Gi Kevlar Reinforced stands alone in construction. This gi is reinforced with Kevlar. This is a material found in military grade body armor and high-end motorcycle protection. 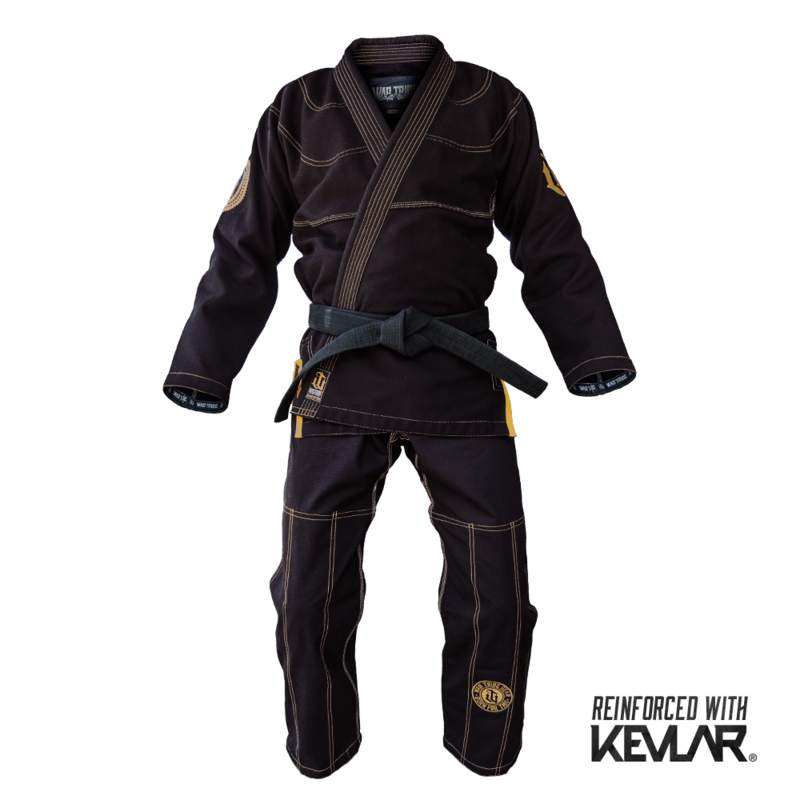 Now the kevlar doesn’t protect you from armbars but the kevlar can guarantee that the seams will not come apart. I have had this gi for over a year and there are no rips in the normal places (knees & collar). The armpits and crotch have double reinforcing typically found high-level competition gis. This gi is also very lightweight. War Tribe doesn’t reply on ultra heavy grade cotton to establish a good build rather they use the kevlar stitching to add strength. 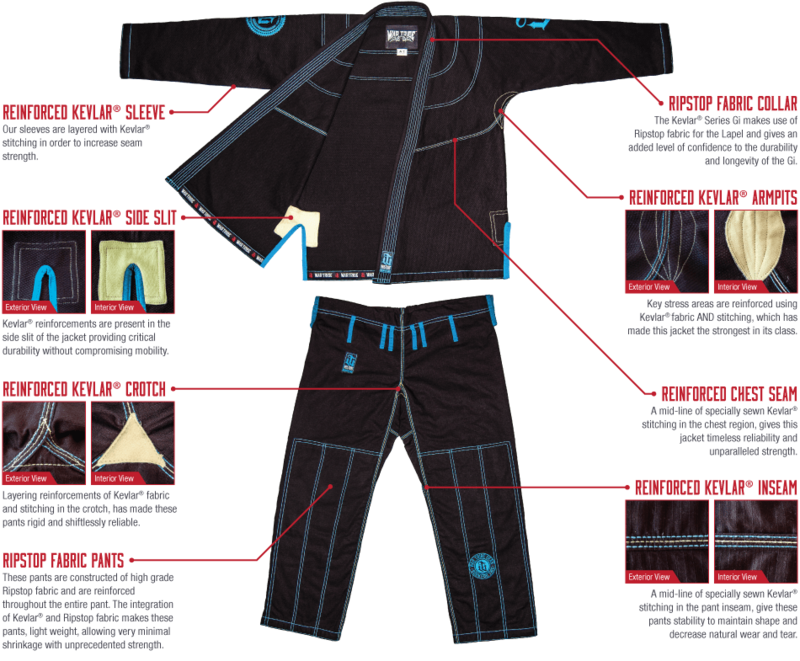 The pants come with the ripstop material which is a must for a high-end gis. Not sure how they did it, but the kevlar reinforced gi fits like a tailored suit. I am 5’8″ and 180lbs. The A2 size fits great. I am confident it would need no adjustment to competition. I would like to see more size options on the website for slim and heavier people. I like a humble gi. I think that a gi that speaks to tradition and goes easy on ‘flair’ is a better thing. However, that really isn’t what War Tribe brand is about. They use high contrasting colors and embroidered graphics that call back to tribal tattoos from the late 90’s. Putting aside my ideas about patches and flair, it is still a very good looking gi. It would be awesome if they made a line of gis that was more conservative for the old schoolers like myself and the like-minded. 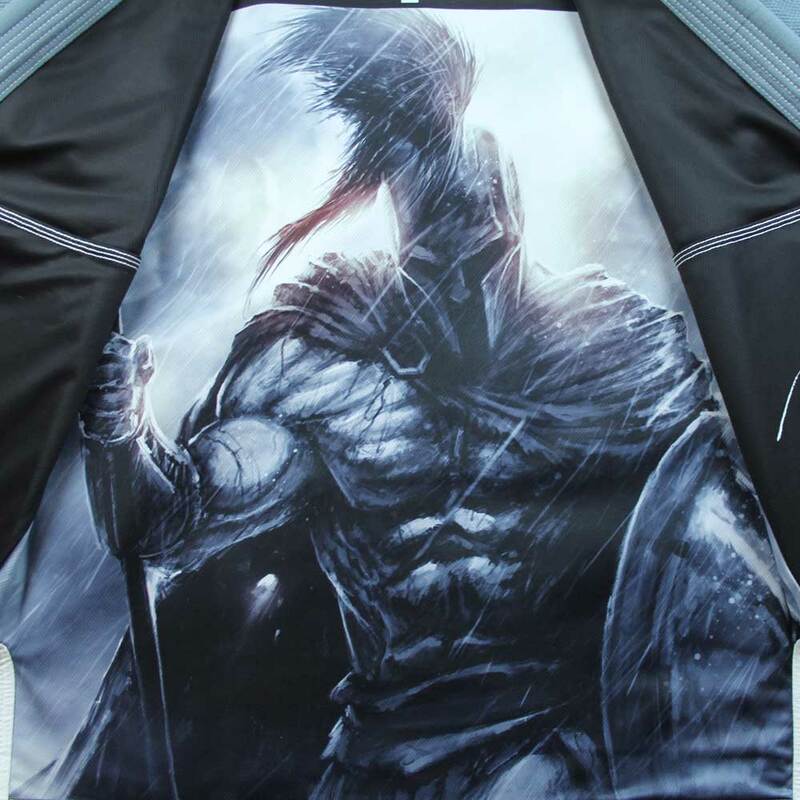 Also would love to see this Kevlar option on a white gi. This gi goes for $200 and I think it is worth every penny. All high-end gis are in this price range. But not all gis have this level of build quality. Additionally, War Tribe does sales from time to time. So there is a likely hood you can find one of their products discounted. The War Tribe Gi Kevlar Reinforced is a damn good gi. In fact, it is my personal favorite. I jock it all the time to my fellow jiu-jitsu nerds like a brain-washed cult follower. It’s not quite a 20 out of 20 but money spent on this gi is money well spent. A couple other things I noticed worth noting: There is an increasing number of big-name pros wearing this gi such as Mackenzie Dern, and Milton Bastos. Very impressive. Finally, Their website and brand are very well thought out. It becomes very clear War Tribe Gear is here to stay.